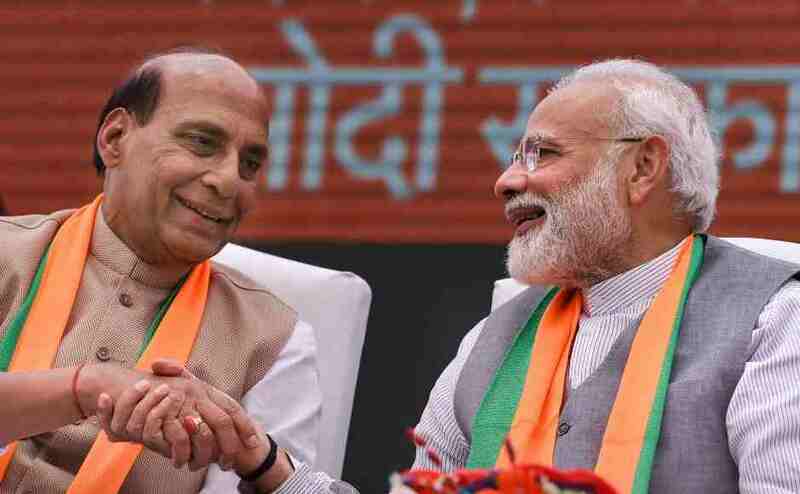 New Delhi: With the tag line "Phir ek baar, Modi Sarkar" (Modi government, once more), the BJP on Sunday unveiled its campaign highlights, which included the Modi government's "befitting" reply to terrorism by "hitting terrorists by entering enemy territory". Launching the campaign, party leader Arun Jaitley said the choice for people in the polls will be between the "cohesive and tested" rule of Prime Minister Narendra Modi and "chaos and mahamilawat" offered by the opposition. The party's campaign will centre on Prime Minister Narendra Modi's five-year performance, including on the national security front, "honesty", and his ability to make big decisions, Jaitley told reporters. The BJP is set to release its Lok Sabha election manifesto on Monday. 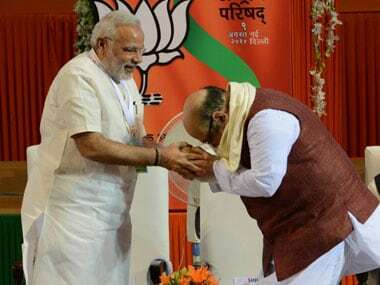 The BJP brought the national security plank at its campaign's centre stage after the Balakot air strikes targeting a terrorist camp in Pakistan. It was in retaliation to the Pulwama terror attack that killed 40 CRPF personnel on 14 February. The Opposition has accused it of politicising the armed forces' operations against terrorists, but the saffron party has used them as an evidence of its government's "decisiveness" and "zero tolerance" for terrorism. The BJP also Sunday launched a television campaign for the polls focussing on development and welfare steps taken by the Modi-government, including schemes likes 'Kisan Samman' under which farmers will get Rs 6,000 in three installments and initiatives taken under the Swachch Bharat Mission. Campaign material also emphasised on the "clean image" of the government, India's "growing stature" at the global level, the Ayushmaan Bharat health insurance scheme and actions like "crackdown" on corruption and black money. The Union minister said these promises are not merely for future as the government has fulfilled them in its five-year term. Jaitley was joined by Union minister Piyush Goyal and BJP general secretary Bhupender Yadav, among others, at the press conference, where they also released slogans and video materials for the party's campaign. 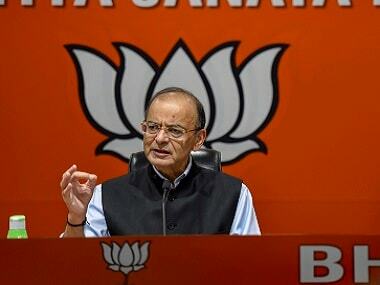 The poor, the middle class and the neo-middle class will be at the centre of the BJP's electioneering, Jaitley said and took a swipe at the Congress for "not even saying a word" on the emerging middle class when it launched its manifesto. 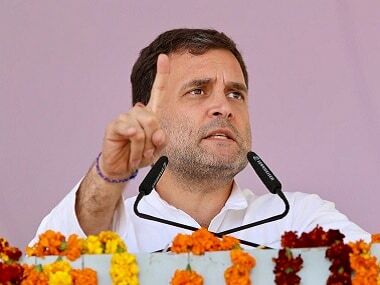 In fact, some of the advisers to the Congress have spoken of levying more taxes on this class, he said, adding the Modi government has consistently reduced their taxes, something that has never happened earlier. The Indian middle class will have an impact on the global economy in the coming decades the same way the Chinese economy influenced it earlier, he said. Pitching for a majority for the BJP in the Lok Sabha polls like it got in 2014, he said it enabled the party to make big decisions on a host of measures, including national security, corruption and black money. Many Opposition leaders have spoken about their wish for a hung Parliament and it is now for people to decide, Jaitley said. "The country has decided as to whether a weak centre (government) will be in the country's interest or a decisive prime minister heading a majority government," he said. On one hand is a cohesive and tested government and on the other is the choice of chaos and mahamilawat (grand adulteration), he said. The Modi government succeeded in keeping inflation low while also expanding the tax base, reducing taxes on the middle class and spending money on welfare measures and exercises like One Rank One Pension, he said. To a question on reports that Congress president Rahul Gandhi's brother-in-law Robert Vadra might campaign for the party, Jaitley wondered whether it would be an asset for the BJP or the Opposition party.